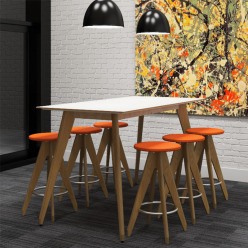 LG high table with 6 matching high stools. Light oak veneer legs. 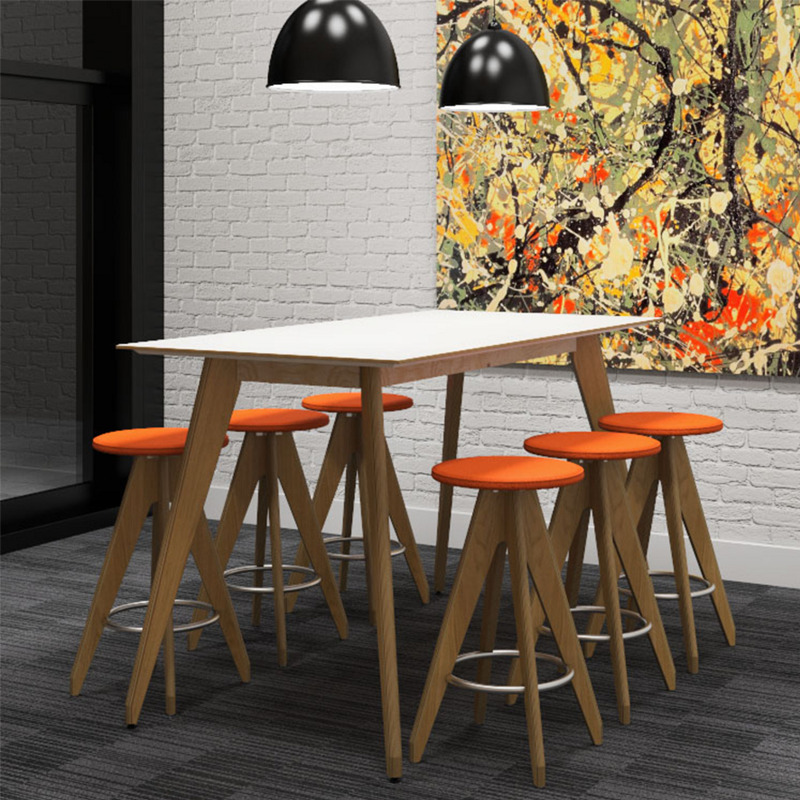 The LG High Table Bundle has a 1800mm wide by 900mm deep high table with 6 matching high stools, all with matching LG legs finished in light oak veneer. LG legs finished in a light oak veneer.